Good luck Leo and enjoy it! It’s hard to know what sort of form Mark Williams will come into this. After celebrating for most of the season, he’s been back in practice. However no miracles happen last-minute and he’s not shown any real form, nor consistency. In China he was beaten by Ken Doherty in the last 64. Martin Gould himself hasn’t got the best of seasons, but did get through the three matches he needed to qualify … without much sparks. Willo will want to make an honourable defence I’m sure, and purely for this reason, because he’ll want it badly, I’m making him favourite to win this one. Mark Williams 10-7. Joe Perry has looked in great form in the qualifiers last week, he’s been scoring well too, but it’s fair to say that he’s not been tested. That said Perry is always hard to beat, especially in long matches, unless he’s badly out of form, which he’s not. David Gilbert comes here as a seed for the first time, on the back of an excellent season – his best ever – but still without silverware. This is a match that I expect to be very close, and, because Perry comes here with three wins under his belt, and certain of £20000, he will probably be the more relaxed of the two. Therefore I make him favourite. Joe Perry 10-7. Barry Hawkins always seems to thrive at the Crucible over the last years. 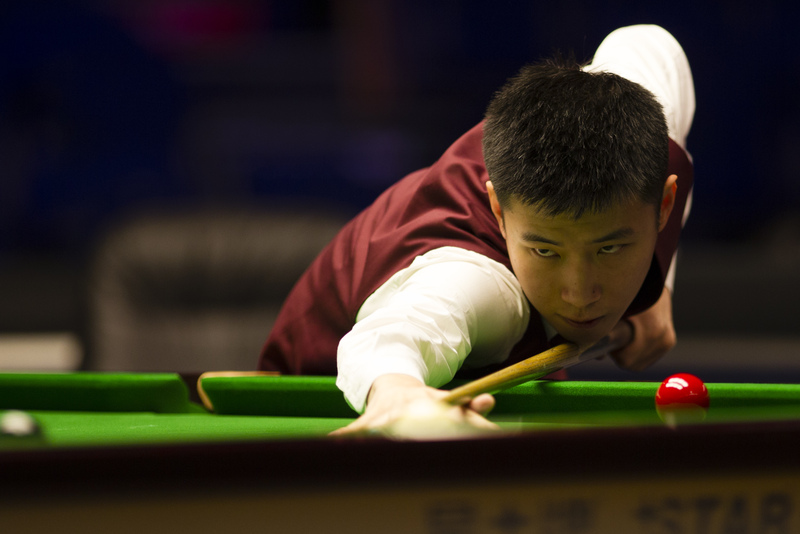 He’s up against Li Hang, who is a debutant and has spent enormous energy to qualify. Despite Barry’s rather indifferent season, I expect him to have too much for Li Hang. Li Hang though will give it his all and fight hard. Barry Hawkins 10-5. Kyren Wilson hasn’t done much at all since winning the German Masters early February. 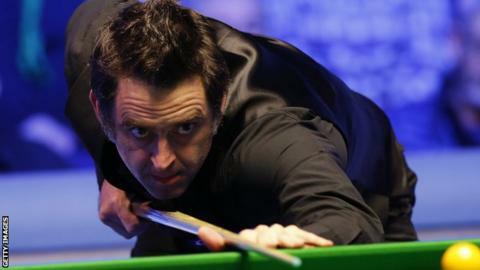 He’s up against Scott Donaldson, a debutant, who had to fight extremely hard to get at the Crucible. The mental and emotional energy Donaldson spent in overcoming Lu Ning on Wednesday night must have been huge! This is what he told the press afterwards: “I’ve never felt like that in my life, I could hardly breathe out there. I couldn’t push my arm through. I can’t believe I won that game”. Purely because Scott’s lack of experience on the biggest scene of all, and his probable state of exhaustion, I expect Kyren Wilson to win. Kyren Wilson 10-6. John Higgins has not been in great form this season, his motivation has been low, and he’s up against a man who is his Nemesis. Mark Davis has won 8 of their last 10 encounters if we exclude the championship league snooker. That doesn’t sound good , does it? Add to that the fact that Davis has looked very solid in the qualifiers and there is only one possible prediction. Mark Davis 10-6. In contrast with the matches above, this one promises to be a battle of two men on form. Graeme Dott played really well at the EIS and Stuart Bingham had an excellent season. I would be very surprised if this one wasn’t very close! Graeme Dott is as hard as a match player as it comes. 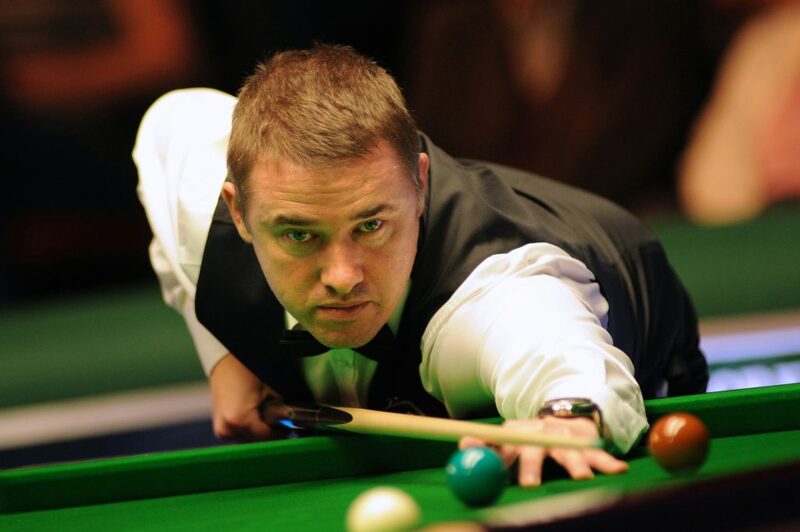 He’s a former World Champion, he’s been in the final at the Crucible three times. The only concern seems to be his stamina. He does not appear to be as resilient to tiredness as he used to be as a younger man. Therefore I’ll go for Stuart, but only just. Stuart Bingham 10-8. Shaun Murphy had a nightmare season, with no real signs of improvement. 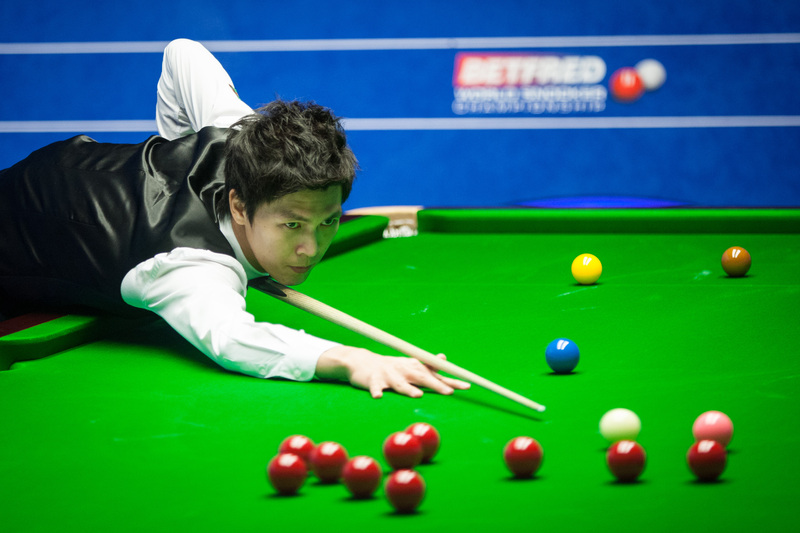 His opponent is a teenager, a debutant, but someone who won the inaugural WSF tournament last season and showed great temperament in the qualifiers last week. Luo may not be the heaviest scorer, but his all round game is very solid. He will give Shaun Murphy chances, but the opposite is true also, Murphy will give him chances too. If it goes to the wire, I expect Luo to take it. Luo 10-8. Neil Robertson is the man in form. He’s been in the last four finals coming into this tournament. I can’t seen debutant, and fits ever Cypriot at the Crucible, Michael Georgiou get past him, or even get really close to him. I just hope Michael does not have a complete nightmare and will be able to savour the moment. Neil Robertson 10-4. Mark Selby has not been himself, especially on British soil, for the best of two years. I can’t see any signs of change coming into this tournament. He’s up against a young man who, having dropped off the tour, has immediately requalified and has really made the most of this season. Zhao throws the odd mistake when you don’t expect it – he seems to go in-off a lot – be he’s a scary potter. 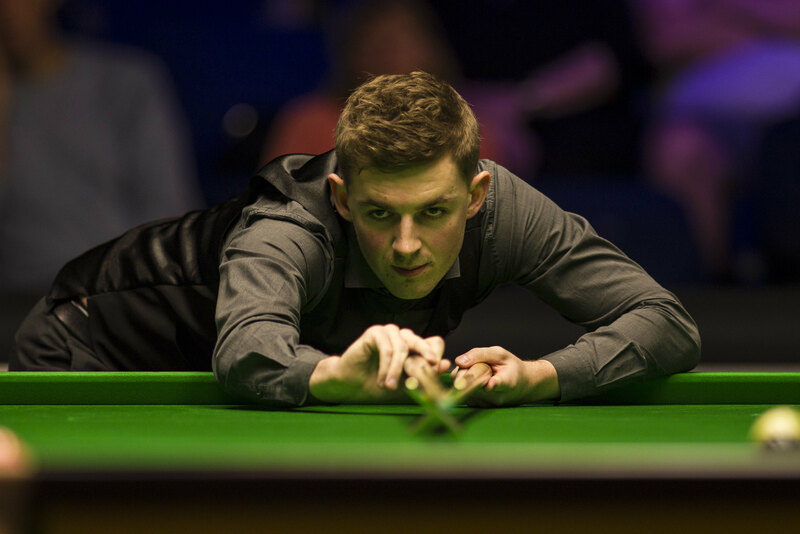 If he doesn’t freeze – he’s a debutant after all – and, unless Mark Selby all of sudden comes back to his old self, he will have too much for Selby. 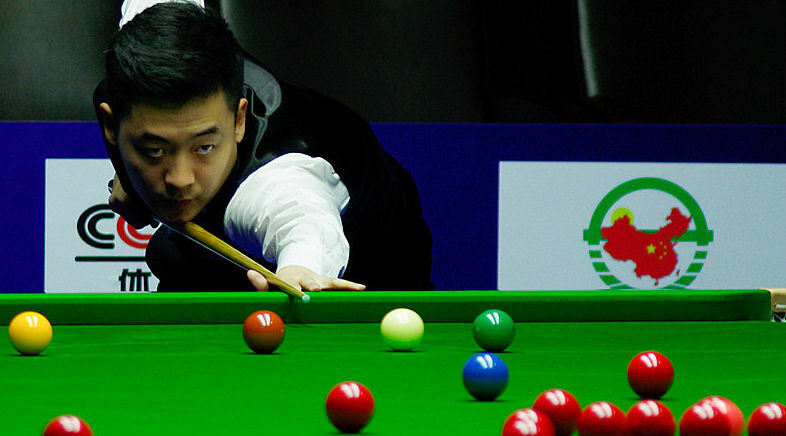 Of course, Zhao may freeze, Selby may find form, but as things stand right now, I have to side with Zhao. Zhao Xintong 10-6. This match is very hard to predict. Luca Brecel showed sure signs of coming back to form and when he is on form, he’s brilliant. Gary Wilson was playing well and scoring heavily last week. He certainly has a good chance here. I really can’t see a favourite. Match over 16 frames either way. Ali Carter won all his matches very easily last week. However I don’t think that he’s been really tested: his highest ranked opponent was Jimmy White, currently ranked n°79, and at nearly 57, far from the force he once was. Jack Lisowki on the other hand had an excellent season. He still looks a bit fragile at times, especially when facing unfamiliar situations. But he has been here before, he has won here before too. Jack Lisowski 10-7. Zhou Yuelong and Zhao Xintong have been friends since they were just children. They had very similar parcours. However they are very different as players. Zhou is predominantly a match player. Despite his young age he’s a complete player too. A lot here will depend on what Mark Allen will show up. Allen hasn’t looked right since the Masters. To his own admission he’s not been at his best mentally. To me his withdrawal from the China Open is not a good sign. Zhou Yuelong 10-6. A match between two mad potters? Maybe, although Judd Trump has been much more cautious and tactical – all being relative of course – in recent times. “Theppy” was rather impressive last week. Judd Trump, after his defeat to Ronnie in Llandudno, has looked a bit “tamed” in China, losing in the first round to Robbie Williams. Is it significant? It’s hard to tell. This is match I can’t predict. Match to go over 15 frames with at least one century each. Ding had a very quiet season, a bad season. The Crucible isn’t his favourite patch. He always faces incredible pressure from his home media here. Anthony McGill hasn’t got a great season either. He got through the qualifiers with any brilliance. What he did show though was a lot of resilience, something Ding has lacked at times in the past. This is why I favour McGill. Anthony McGill 10-7. I believe that Stephen Maguire will have too much of everything for Tian Pengfei who is playing at the Crucible for the first time. Too much experience, too much potting power and a rather intimidating presence as well. That said Tian is no kid, he might be able to cope with it all. But somehow I doubt it, at least this time. Stephen Maguire 10-5. So Ronnie, who has been the best player of the season so far, who is back to World n°1 despite playing only a reduced schedule, is facing a debutant who is an amateur as well. That should be dead easy, no? Well maybe not, and here are the reasons why: 1. contrary to Ronnie, James Cahill will have no expectations on his shoulders, he’s already dome much better than anyone expected – 2. he’s played Ronnie before, and although he lost, the matches were close – 3. James whilst he was a pro, was managed by the Grove, so they very likely played each other in practice, if only occasionally, which takes away the fear factor – 4. James will be extremely confident, he knows he’s playing well. Still I don’t think he can cause an upset. Ronnie 10-5. Not many expected Michael Georgiou to play at the Crucible, after an indifferent season (understatement). But look at who he beat! Two very hard match players in Lee Walker and Peter Ebdon were his first victims. Yan Bingtao is not in his best form, and his confidence is low, ok, but his talent remains and Michael still had to beat him. He has every reason to be proud, he made his country proud. I hope he enjoys his debut. I watched Theppy’s first and the last match. In round three he played Joe O’Connor. It was very high quality. Joe O’Connor is in his first year as a pro and has done tremendously well. He should be proud. “Theppy” scoring power is just too much for about anybody when he’s on form. And he is. He’s great to watch as well. Jonathan Bagley who is a WSS player and an amateur did very well actually. The match could have been closer had Jon found his ground from the start. But everything was new to him and the fist session was just a learning curve.